My hopes for 2013 is that i get a good accounting job before i finally graduate and that my family continues to be healthy and happy. I'm graduating so that's a thing to look forward to, and then I have to find a job to pay off the debt~ looking forward to all the books being released this year too, wow. Hoping to spend more time with my family! Also: The cover (is it still a cover if it's an audiobook?) for this is ridiculously adorable. 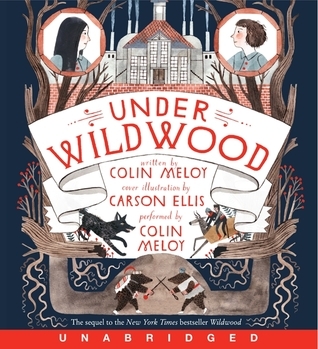 Middle grade books have the best covers. 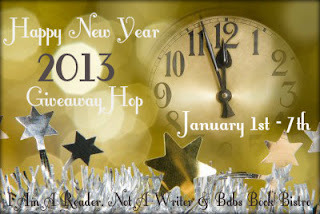 I hope to read and blog more during 2013! Read lots of good books! I hope to improve my teaching skills. Thanks! To spend more time with family and friends and just enjoy life to the fullest. To get a job and pass my classes. Thanks for the giveaway! I hope to get more work done and spend more quality time with my kiddos. My hope is that my husband is able to find a great job (that he likes) and that we both continue writing! I hope for a peaceful and healthy new year! Thanks for this amazing giveaway - I would love to win! I hope to make more money this year than last year. I hope to eat healthier this year! I hope to meet all my deadlines. I hope that my blog will have more success and that I will become a better person. I hope that 2013 is full of good books! My hopes are to have my life better organized and predictable. To just try and be happier and read more. I hope my company pulls out of its slump. My hopes in 2013 are to find a great job.